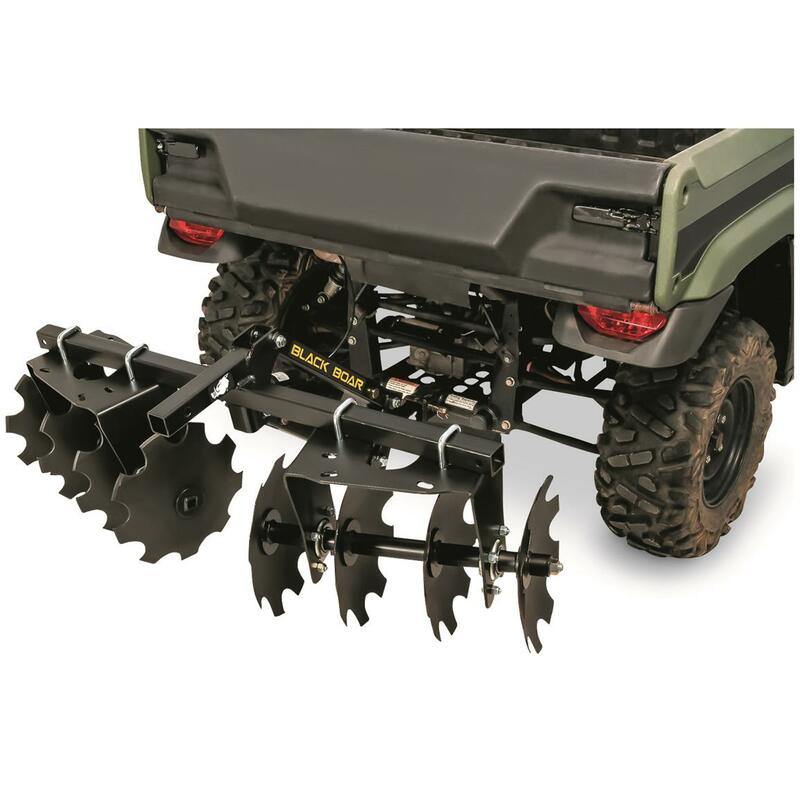 Want to get to work on that food plot? 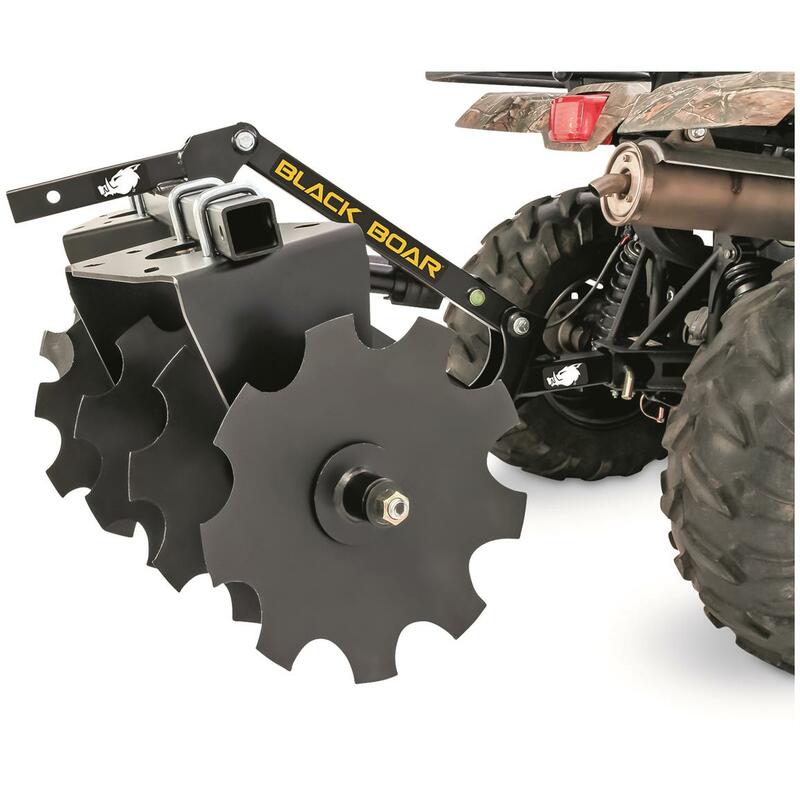 Get after it with this Black Boar ATV / UTV Disc Harrow. 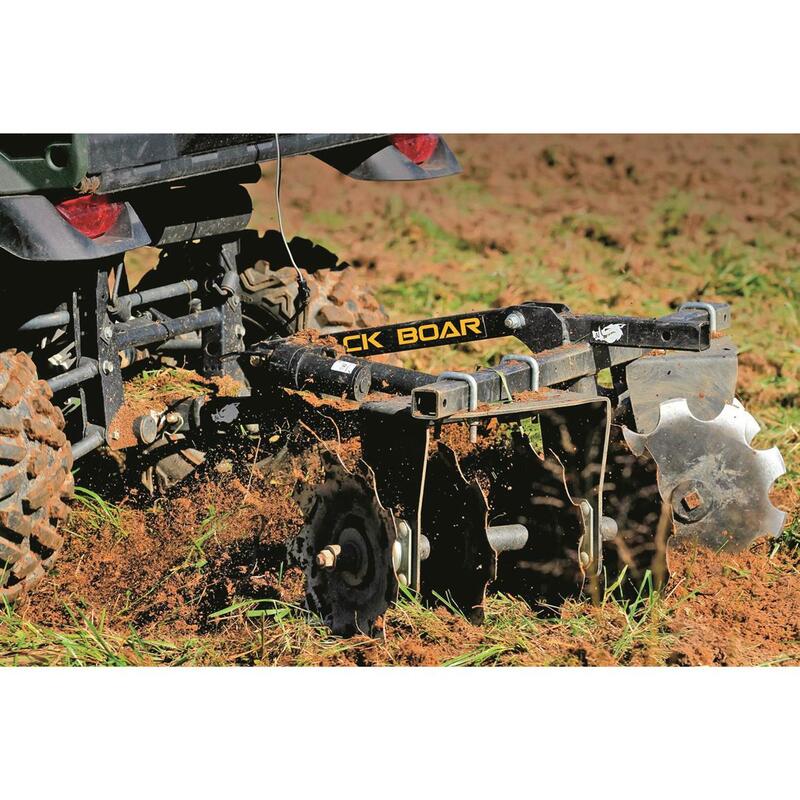 It's Black Boar's most heavy duty and universally designed implement. 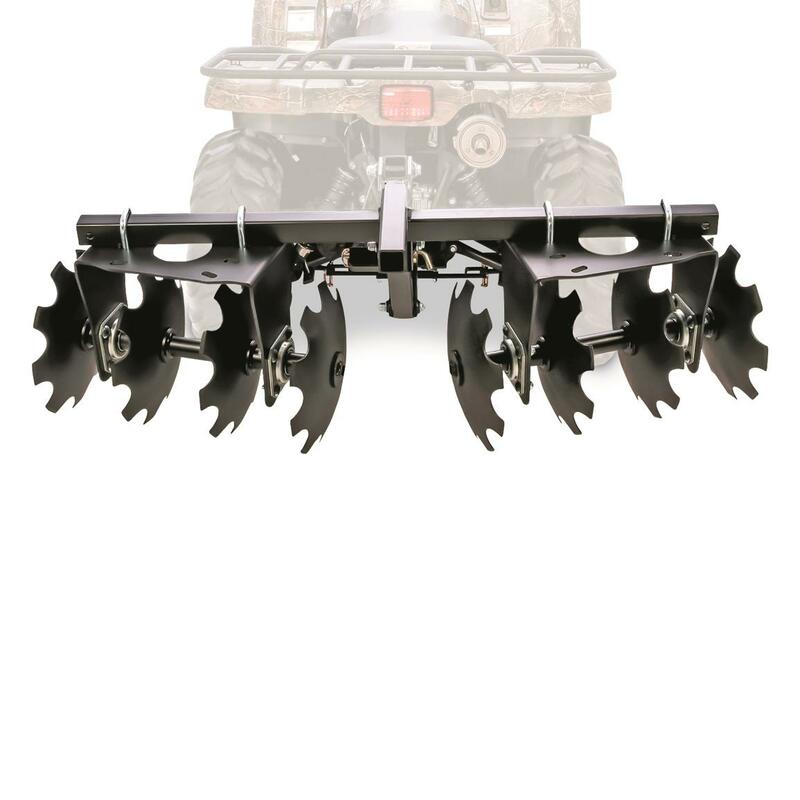 You get eight discs working together to cut up tough ground. 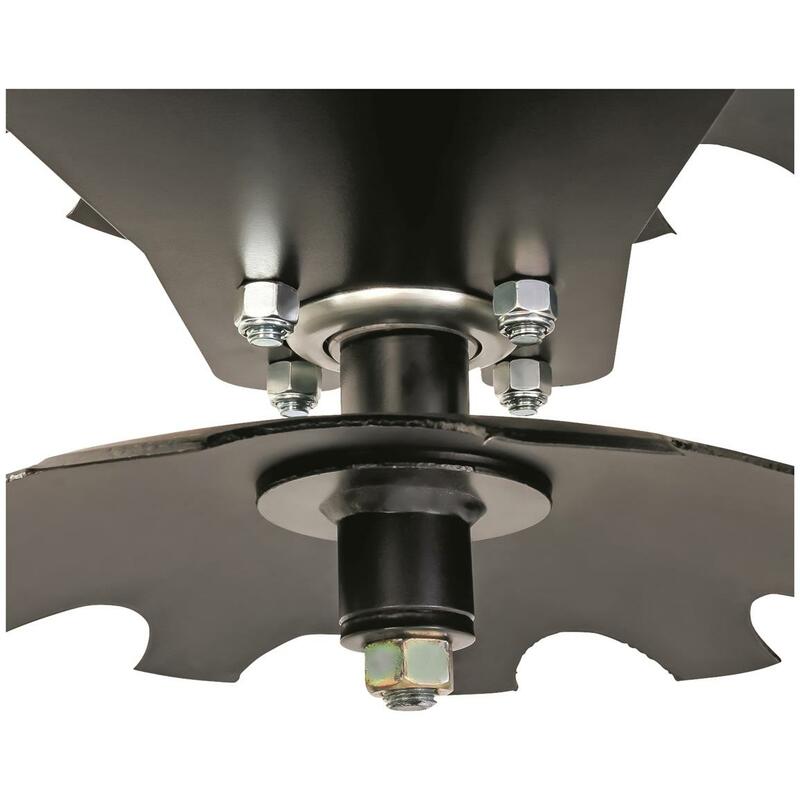 There are four discs on each side, and each side independently adjusts to 0, 15 or 30 degree angles, both forwards and backwards, resulting in a 60-degree range of motion total. 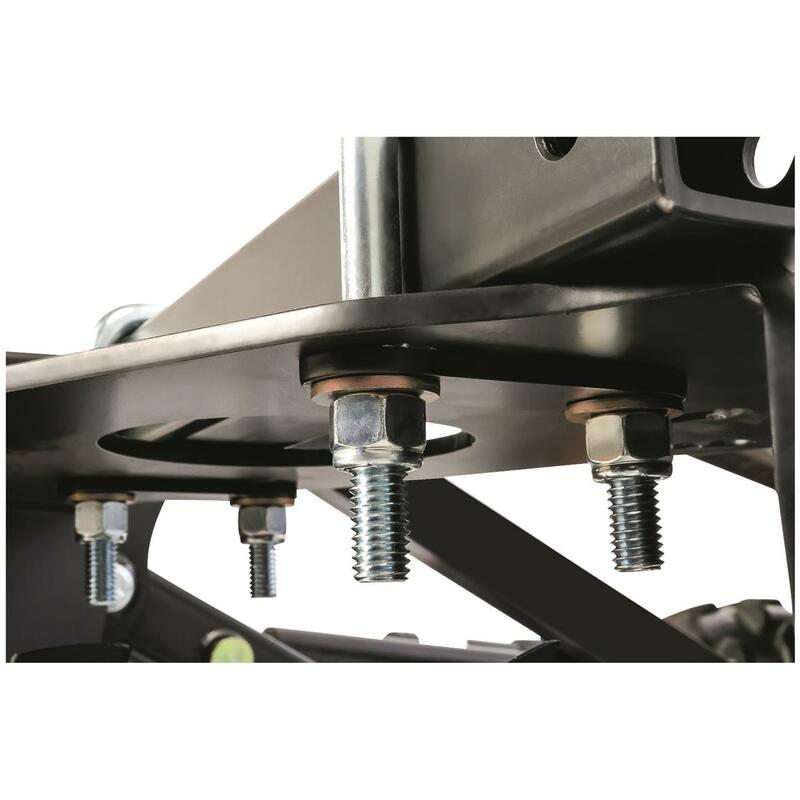 Use the angle-selector holes and U-bolts to select which angle and direction is best-suited for your needs. 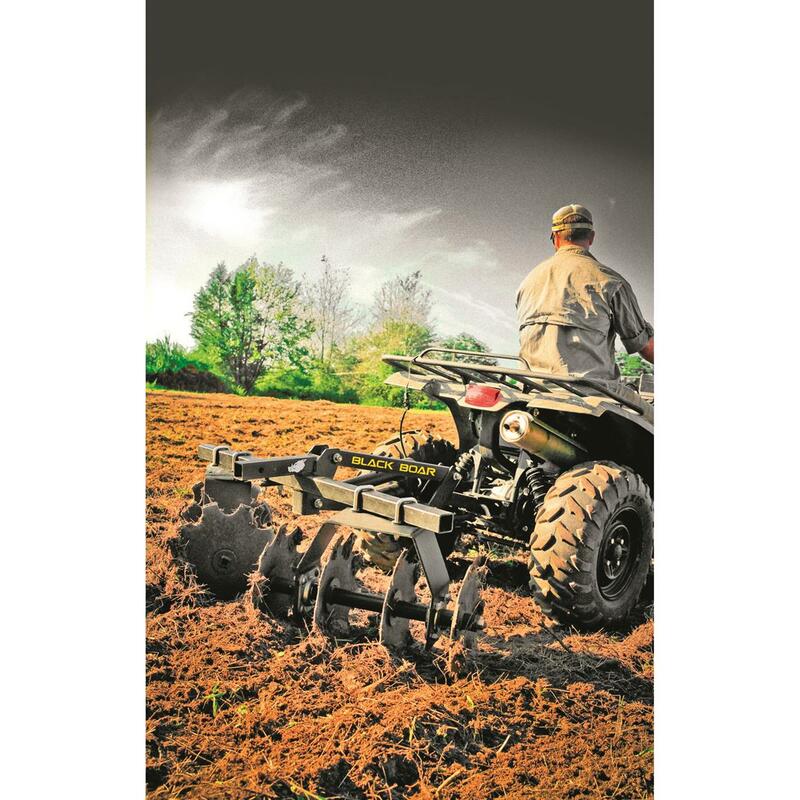 This year, make your food plot a productive hunting spot. 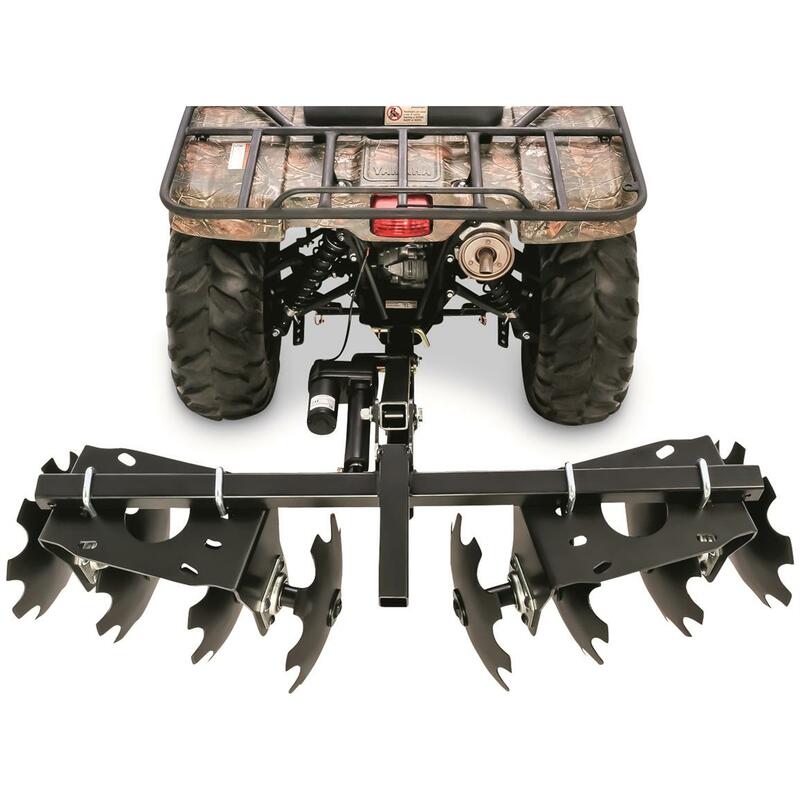 Start it out right with this Disc Harrow. Black Boar ATV/UTV Disc Harrow is rated 4.2 out of 5 by 5. Rated 5 out of 5 by Lee5231 from Best performance for low price. 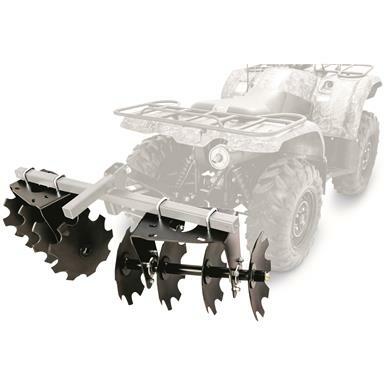 Works great on previously tilled land. 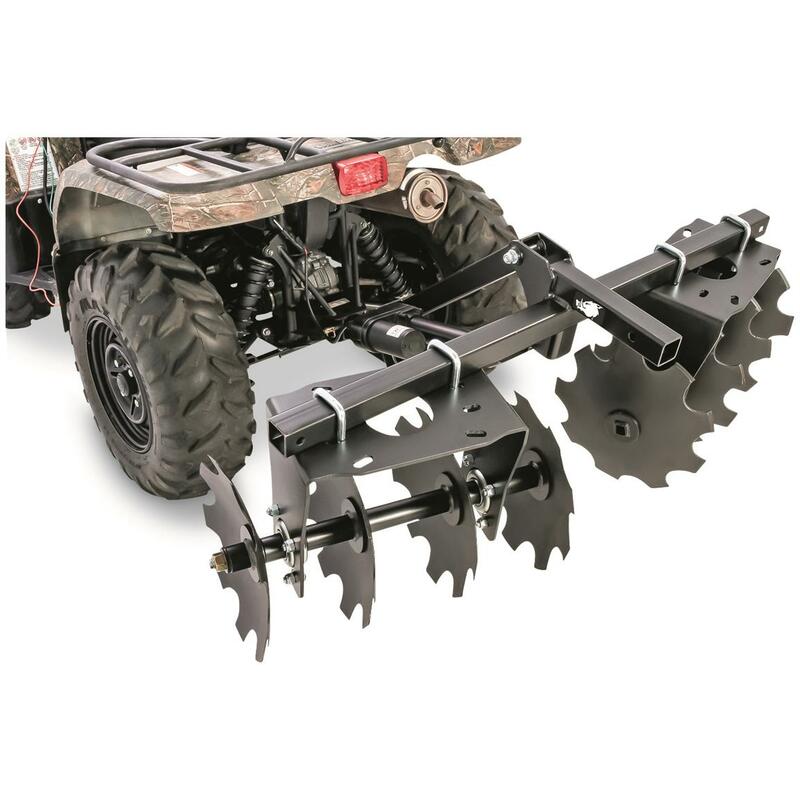 The weight tray should be used if breaking new ground. Rated 5 out of 5 by Den O from Works perfectly. These discs combined with the motorized lift work fantastic. Turned over two plots yesterday, one a 1/4 acre and another 1/2 acre. Both were filled with rocks, tough ground and the disc handled them with ease. Quality product through and through. Rated 5 out of 5 by Nick from I was shocked at how well these are built Am not often shocked at how well something is built but these things are built tough.